Part #: 19351813. 2016-2018 Cadillac CT6. 2017-2018 XT5. 2016-2018 Cadillac CTS-V Sedan. 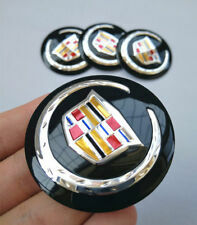 Description This is a set of (4) Genuine GM silver center caps with multicolor crest logo for your 2016-2018 Cadillac CT6. Application 2016 2017 2018 Cadillac CT6. Trending at $162.09eBay determines this price through a machine learned model of the product's sale prices within the last 90 days. Universal fit for all Cadillac ATS CTS DTS SRX STS model. Material: high quality ABS. Color: Black Color. It will use to verify claims if there is any problem with your order. Check-Out Now! USA Lower 48 States. Universal fit for all Cadillac ATS CTS DTS SRX STS model. Material: high quality ABS. It will use to verify claims if there is any problem with your order. Check-Out Now! USA Lower 48 States. Universal fit for all Cadillac ATS CTS DTS SRX STS model. Material: high quality ABS. Color: Silver Color. It will use to verify claims if there is any problem with your order. Check-Out Now! USA Lower 48 States. Will not fit Escalade. Check the images to see if your wheel is there - if so - these will securely snap right in. Do not change the number from "1" in the box below unless you desire more than one set of four. 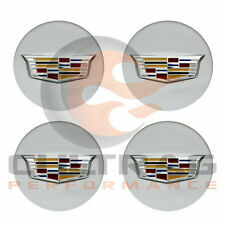 4x 2.2' Cadillac Emblem ABS Car Wheel Center Hub Cap Badge For ATS CTS DTS SRX. Universal fit for all Cadillac ATS CTS DTS SRX STS model. It will use to verify claims if there is any problem with your order. PART NUMBER: 9597375. CADILLAC OEM WHEEL CENTER CAP. GLOSS BLACK FINISH. 9597375; 9596629; 9595439. Will also fit many other Cadillac wheels require a 66 MM wheel cap or any of the part number Fits most Cadillac ATS, CTS, DTS, SRX, STS, XLR, XTS from 1994 - 2017. Quality: 4 pcs. 9597375 / 19329847 / 19329267. Fits many OEM Cadillac Wheels for XT5, XTS, CT6, ATS, CTS, SRX. Strong 3M adhesive on the back. Silver color. Brand Cadillac Manufacturer Part Number 23156594, 9597375 Interchange Part Number 4705 Placement on Vehicle Rear. Universal fit for all Cadillac ATS CTS DTS SRX STS model. Color: Silver Color Crest. It will use to verify claims if there is any problem with your order. Check-Out Now! USA Lower 48 States. WE WILL TRY OUR BEST TO RESOLVE ANY ISSUES FOR YOU AS SOON AS POSSIBLE. Part Numbers :19329267, 9597375. 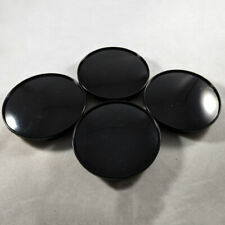 -Price is per one (1) center cap unless listed as a "Set of 4". Most will benefit from a more intensive cleaning once installed. 4X Wheel Center Hub Cap Covers Fit Cadillac ATS CTS DTS SRX XT5 CT6 XLR 2.5"
Fits most Cadillac ATS, CTS, DTS, SRX, STS, XLR, XTS from 1994 - 2017. 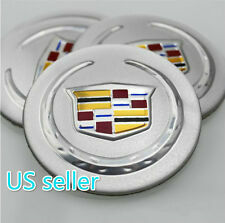 Will also fit many other Cadillac wheels require a 66 MM wheel cap or any of the part number 9597375; 9596629; 9595439. 9597375, 22953467, 9596629, 9595439, 19329257. Will also fit many other Cadillac wheels require a 66MM / 2.60" wheel cap or any of the part number Fits most Cadillac ATS, CTS, DTS, SRX, STS, XLR, XTS from 1994 - 2017. PART NUMBER: 9597375. CADILLAC OEM WHEEL CENTER CAP. MOUNTING: TABS ARE ALL INTACT. 9597375, 22953467, 9596629, 9595439, 19329257. Will also fit many other Cadillac wheels require a 66MM wheel cap or any of the part number Fits most Cadillac ATS, CTS, DTS, SRX, STS, XLR, XTS from 1994 - 2017. 9597375; 9596629; 9595439. Will also fit many other Cadillac wheels require a 66 MM wheel cap or any of the part number Fits most Cadillac ATS, CTS, DTS, SRX, STS, XLR, XTS from 1994 - 2017. Check the images below to see if your wheel is there - if so - these will securely snap right in. But there are many others. Do not change the number from "1" unless you desire more than one set of four. Wheel Concepts was established in 1985. WHEEL CONCEPTS INC. WE CARRY OVER 5000 WHEELS IN OUR INVENTORY. (lower 48 states.). 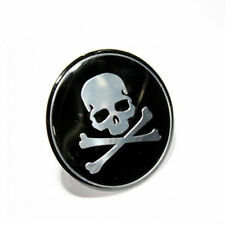 • Style: The Punisher Rock Skull. 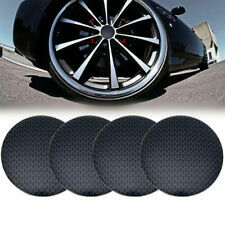 • Four pieces wheel center cap set. • Made with high quality Aluminum, double-sided tape on the back. ENDING SOON. (4x Custom 62mm Punisher Wheel Center Cap for 42603-AC020 RAV4 Corolla 04-07 16" Wheel. 2016-2018 Camaro. Material: ABS Aluminum. C ) Other countries 2004-2005 Impala. 2009-2017 Traverse. SKU: 20213776. Cadillac ATS (2013 – 2017). Cadillac CTS (2005 – 2017). Cadillac CT6 (2017). Cadillac XT5 (2017). Cadillac XTS (2013 - 2017). Cadillac SRX (2005 – 2016). T his center cap fits Cadillac wheels with Hollander number 4705. (Only 1) 2.625” inch Cadillac Center Hubcap, make sure this size would fit in your rim before purchasing! Message me with any questions you might have on this listing, thank you! Check your wheel center cup size before buying. wheel cap size about 64mm. set of 4pcs. Quantity : 4pcs (No Logo Included). Material : ABS plastic.